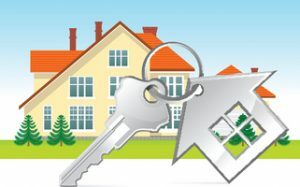 You are here: Home / Arizona Home Buying Process - All the steps you need to know / Who Pays for Title Insurance in Arizona? Who pays for title insurance in Arizona depends. In Arizona, title insurance or agencies are used for closing on a home purchase or sale. Many states use attorney’s, but in Arizona it is the title company who handles the escrow process. Many of our buyers and sellers are confused about who pays for various charges, so this blog will explain the charges and the party typically responsible for those. The title company or agency is the company responsible for collecting your earnest money when you make an offer on a home. They open escrow and act in a Fiduciary role to ensure clear title when you close on your home. A title spells out who has the right to ownership of a property. It is “clear” if no substantial claims or liens are against it. 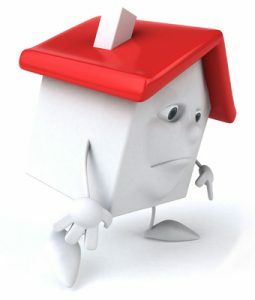 The title company will conduct a “title search” and issue an Owner’s Policy of Title Insurance. You will receive a preliminary title report that you will need to review as it spells out what must happen prior to closing. You will notice a Schedule A and a Schedule B. Schedule B is the one to peruse carefully. It will show any clouds on title and spell out what must be done to ensure a successful closing. The Buyer is the insured. Title will pro rate provisions such as property taxes and homeowner dues paid. There may be other charges prorated depending on how the contract is written. If you are financing and the lender has approved your loan, except for the mortgage pay-off, the title will be clear to close. The goal is clear title to your home so you can close and receive the keys to your new home! In Arizona, community property is the “law of the land”. You do not have to take title as community property, but you will need to discuss with your escrow officer how you want to take title. This is something you should discuss with your legal and tax professionals before making a decision. You can hold title as Community Property, Joint Tenancy with Right of Survivorship, Community Property with Right of Survivorship, Tenancy in Common. 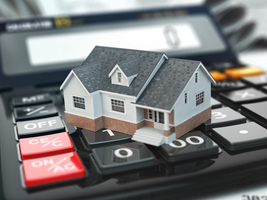 Discuss the options with your escrow officer. Title Insurance is a contract of indemnity which guarantees that the title to the property is as reported. If it is not as reported, the title company will reimburse the buyers for actual loss or damage under the condition specified in the policy. The title policy covers the insured for their loss up to the amount of the policy. Not all risks can be determined by a title search, since certain things such as forgeries, identity of persons, incompetency, failure to comply, or incapacity cannot be disclosed by an examination of public records. The preliminary title report is an offer to insure under certain conditions. The Arizona Land Title Association (ALTA) is the standard policy of insurance in Arizona. See the Arizona Buyers Real Estate Guide for more specific information. If you are selling a home see the Arizona Sellers Real Estate Guide. For a more comprehensive list please discuss with your escrow officers. These are general guidelines about who pays for title insurance in Arizona. Some information was provided by Fidelity National Title, one of our preferred partners. Discuss in detail with your escrow officer to answer specific questions. Additional sees such as FIRPTA tax may apply if the seller is a foreign national. The buyer is responsible for withholding the tax, so it is essential to discuss this with your escrow officer and legal/tax counsel. See more information on the Foreign Investor Guide Book. For more information on buying or selling homes in Chandler and Sun Lakes, Arizona contact The Kolb Team at 480-440-0849.